1962 Pontiac Catalina Station Wagon Photo Picture Classic Cars for sale & Classifieds - Buy Sell Classic Car & Classic Truck Classifieds. Looks like a great tree stand. We have similar ornaments in our flowerbeds here, just not as large. To compete with Ford's Eddie Bauer edition. 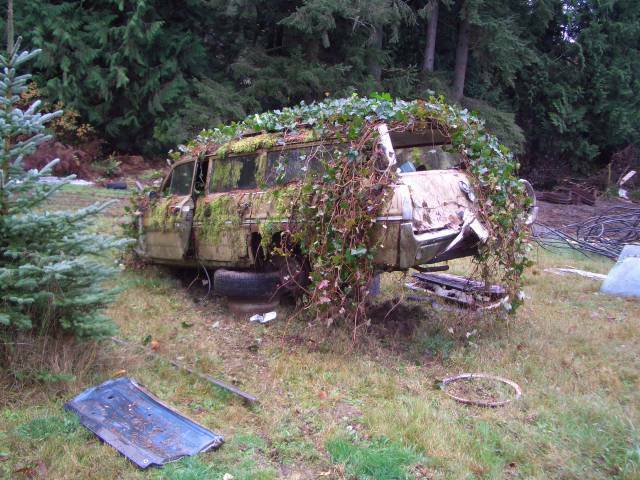 Pontiac decided to try the Cabela's Mossy Oak edition, but soon found out that the aerodynamics suffered greatly! hmmm... it looks mighty vine...ahh..I mean fine to me. This has got to be the first green car built. Who said that Detroit wasn't concerened about the enviroment way back when it wasn't cool. Heres' living proof that mighty auto monguls may have cared, NOT!. i wonder if that would help or hurt the preservation of the car underneath?